Multiple Offer Deadline is 8:45 am on 4/12/2019. This is a Fannie Mae HomePath Property. 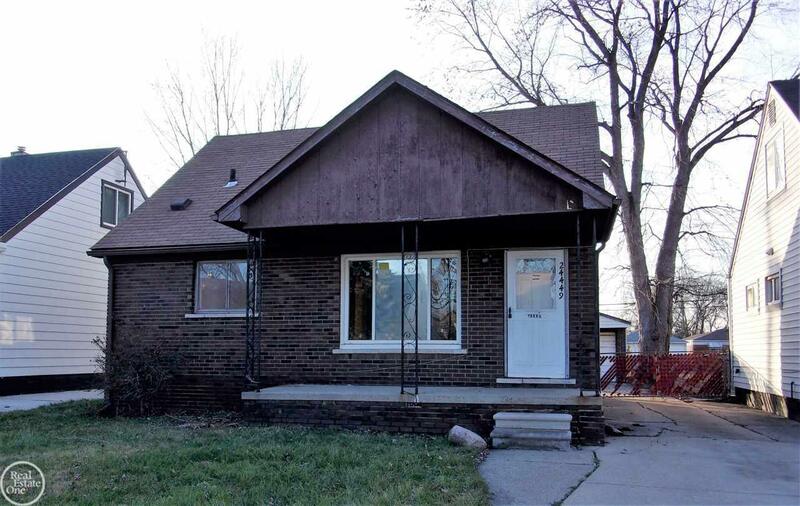 3 bedroom, 1 bath brick bungalow with cedar and aluminum trim. Spacious oak kitchen with utility area for laundry. Large master bedroom on upper level. Rear deck with wood railing. 2 car detached garage with brick front and a fenced yard. Covered front porch. Eastpointe Schools. Purchaser is responsible for Certificate of Occupancy.